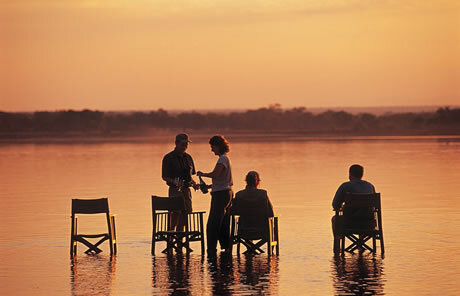 Zambia, in the heart of Africa, is a true wilderness area and offers outstanding safari experiences. The wildlife reserves of the Luangwa National Parks, the Lower Zambezi and Kafue National Park are perfect for avid safari enthusiasts. This is the ‘real’ Africa, remote, wild and beautiful. Walking safari was pioneered here and should not be missed. 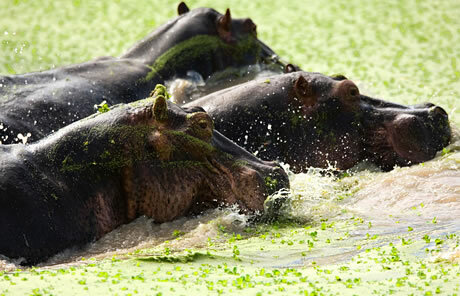 Kafue is Zambia’s oldest and largest park, covering over 22,500km2, but with few visitors it remains wild and untamed. In the north the Lufupa River flows into the Busanga Swamps and during the rains these spill over into the immense grasslands of the Busanga Plains. In May, the water recedes leaving behind a carpet of lush vegetation and from June to October you can visit this enticing area which is rich in wildlife such as herds of puku, hartebeest, oribi, sable and red lechwe. 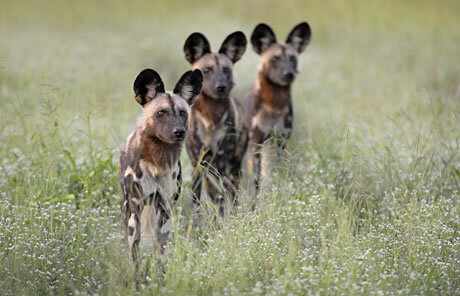 Features of the plains are the enormous Fig and Sausage Trees which often play host to tree-climbing lion and if you are lucky you might catch a glimpse of wild dog or cheetah. 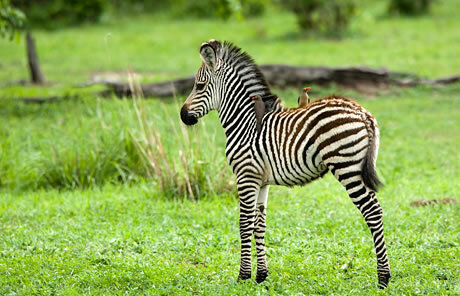 The Lower Zambezi National Park is renowned as one of the most beautiful in Africa. Part of the park stretches along the sandy banks of the Zambezi River and oxbow lakes can be seen glittering in the rich grasslands. There is an abundance of game here that tends to congregate near the river during the dry season allowing for incredible game viewing. There are strong populations of buffalo and elephant as well as herds of impala, eland, waterbuck, bushbuck, zebra and kudu, which in turn attract the predators and the park seems especially good for leopard sightings. 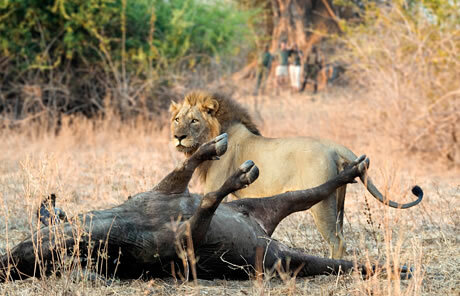 The Luangwa National Parks are located at the lower end of the Great Rift Valley, in a lush valley that offers a wonderful diversity of wildlife and vegetation. They are both rich in game and bird life, much of which can be found along the banks of the meandering Lwangwa River. Expect to see large pods of hippo heaving their giant frames out of the water to graze at dusk, crossing paths with the buffalo and elephant that have come to drink. It is a magical place, best experienced on foot, and the camps here are typically small, privately owned lodges with only 4-5 rooms, the best known being owned by Robin Pope Safaris. Malawi is a little known gem of a country with diverse scenery that has been sculpted over the years by the Great Rift Valley. 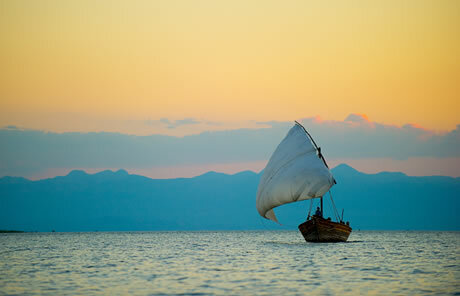 The thin strip of land is dominated by Lake Malawi which is nearly 600km long and 80km wide and boasts white sandy beaches and tiny fishing villages. These idyllic shores are also home to some wonderfully relaxing lodges and make for the perfect complement to a safari trip in Zambia. A two week safari taking in the beautiful national parks of Zambia and then off to Malawi for some serious R&R by the lake. Day 1: Overnight flight from the UK to Lusaka, Zambia. Day 2-4: Arrive into Lusaka Airport and transfer to the Lower Zambezi National Park. 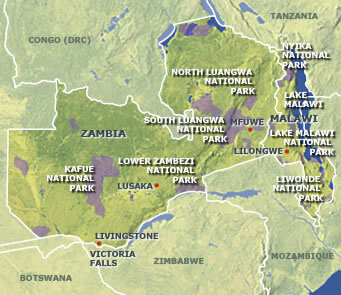 Day 5-8: Transfer via Lusaka for an internal flight to South Luangwa National Park. 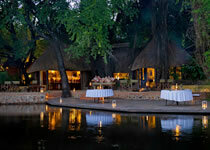 Spend 4 nights on safari with Robin Pope Safaris at a combination of their fantastic camps or lodges. Day 9-12: Fly via Mfuwe and Livingstone to Lake Malawi. Spend 4 wonderfully relaxing nights at Kaya Maya, Mumbo Island Camp or Pumulani. Day 13: Transfer to Lilongwe for your international flight back to the UK via Johannesburg. 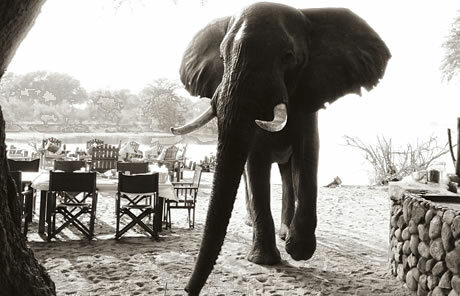 Prices from £6000 per person fully inclusive of flights, taxes, game drives and meals.